System 2 which allocates to the effort full mental activities that demand it, including complex computations. The operations of System 2 are often associated with the subjective experience of agency, choice, and concentration. Pretty much, system 2 is the lazy one and we usually try to avoid as much as possible and rely only or most of the time on system 1. 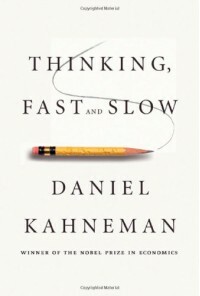 Throughout the book, Kahneman uses these two systems to explain how we apply them to judgement, choices, the effect of illusion in understanding, as well as the impact it has on our thinking and if we should be able to trust our instincts under a specific emotion. For example, when we are happy we are more prone to trust our system 1 and not give that much thought to make a decision. Therefore, it is useful in evaluating our emotions specially if we must take and important decision. Personally, I find the study of the mind fascinating. Why and how we think and behave the way we do. But I do hope that the reductionist molecular approach of the the study of our complex mind will soon give us the answer of what makes us human. I liked this book, it was an interesting psychology approach but, when it comes to the understanding of the mind I always aim for a more neurobiological approach, Eric Kandel style! However, I do ask myself: Even if we find the answer to understand what is the mind and how exactly do we think,will humans ever settle with theses answers or will we always be in need of something else? I think this is my favorite book on human physiology. It is nicely and easily explained with a very practical medical approach. 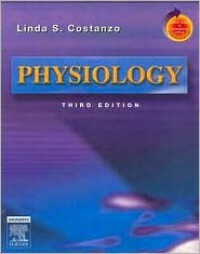 In my opinion, it is more useful than Guyton's physiology if you just need a quick review on a specific topic. What a fantastic book I have just finished! 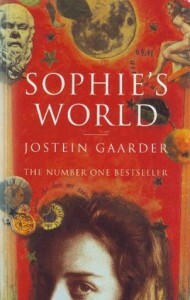 I always find biographies very interesting and stimulating, specially those regarding the lives of scientists. 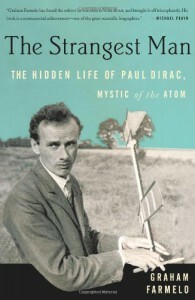 In this case, it was a biography not only of the life of the brilliant mind of Paul Dirac but also a complete story of the rise and golden age of quantum mechanics. Along with Heisenberg, Jordan, Pauli, Schrodinger and Born, Dirac was one of the group of theoricians who discovered quantum mechanics. Dirac, the youngest theoretician ever to win the Nobel for his legacy to this field was an eccentric man, famous for not understanding the feelings of others and lack of touch, always direct and honest, a loner, fully dedicated and obsessed on his work. He was a quiet man, who as a child preferred not to speak due a highly disciplined father who would only speak to him in French. Among all these peculiar characteristics of Dirac and many others of a personality that fits with those of a person with Asperger's syndrome, there is one that I truly admire in a person and this was the loyalty that Paul Dirac always demonstrated towards his family and his friends. It is worth mentioning that the only time they saw him crying was when he knew of Albert Einstein's death, not because he had lost a friend but because science had lost a invaluable scientist. I have to say that it was also a delight reading about his comments regarding politics and religion, his love for Disney classic movies and for Odyssey 2001... an extra star for that last one! Regarding what made him such a great scientists I'll just paraphrase the following: "One reason why Dirac's approach was so puzzling was that he was an unusual hybrid-- part theoretical physicist, part pure mathematician, part engineer. He had the physicist's passion to know the underlying laws of nature, the mathematician's love of abstraction for its own sake and the engineer's insistence that theories give useful results". Like Einstein, he was in the search of simpler and aesthetic laws that could explain all the principles of the universe in a unified way. Besides learning about his legacy in quantum mechanics and electrodynamics and the contributions of so many amazing scientists of this golden era, what really kept my motivation throughout this biography so vividly was reading about the personality of this genius. His life, from a precociously clever but emotionally withdrawn child, all his way up to becoming one of the greatest scientist ever in the field of physics. In summary, he was like Bohr once said about him: "Dirac was the strangest man". Este es un gran libro para cualquier persona que trabaja o que esta relacionada con niños con trastorno del desarrollo, ya sean terapistas, maestras, médicos o padres de familia. A pesar de que el libro carece de un buen enfóque o análisis psiquiátrico, al inicio DIBS parece presentar lo que son características del espectro autista, mas específicamente Asperger. Características como el aislamiento social, la falta de comunicación con otras personas, referirse a si mismo como segunda persona, falta de contacto visual, los berrinches y la agresión física hacia otros niños con el contacto fisico. 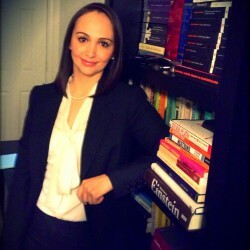 Conforme avanza la terápia con la psicóloga, se puede ir apreciando que DIBS no solo tiene un lenguaje superior al de su edad pero posee una inteligencia admirable que se aprecia a través de las intelectualizaciones que hace como mecanismos de defensa y que la falta de comunicación solo es un mutismo selectivo tanto en la escuela como con sus padres. También se observan manifiestaciones de personalidad antisocial e ideación homicida a través de proyecciones en el juego y desplazamiento de emociones y sentimientos hacia objetos inanimados. Se pueden apreciar unos padres intelectuales, que al verse truncados en su carrera y éxito profesional por el nacimiento de DIBS, hacen un desplazamiento muy severo de sus emociones hacia su hijo y quien al final esta resintiendo esta carga y carencia emocional y debido a que consideran que el niño tiene una incapacidad intelectual pierden todas sus esperanzas en él y lo aislan. Además, de mencionar el rechazo del padre y las palabras que tanto lastimaban el autoestima de Dibs. También, cómo los médicos a veces nos limitamos a dar soló un diagnóstico y no vemós mas allá de lo que pueda estar rodeando y afectando en la vida de nuestros pacientes e indirectamente quitamos esperanzas de los padres de familia que se tienen que enfrentar a situaciones como en esta historia. Fué agradable ver que las maestras estaban cautivadas e interesadas con el niño, a pesar de no saber que era lo que ocurría con Dibs, ya que un buen equipo de maestras es indispensable para el progreso de un niño y como trataban de reincorporarlo a las actividades de los demás estudiantes. A pesár de su aislamiento y mutismo, sin duda observaba y aprendía todo lo que había a su alrededor. La relación que se forma entre la terapista Axline y Dibs es muy emotiva y es lo que le da vida a esta historia. Se puede apreciar como a través de la terapia de juego, ella logra rescatar al niño y ayudarlo a recuperar su seguridad emocional, su independencia y reincorporarlo a una vida social funcional y unirlo con su familia. Posteriormente, nos damos cuenta que Dibs posee un increíble CI de 168 de acuerdo a la prueba de inteligencia de Stanford-Binet. Creo libro, a pesar de ser corto y antigüo (ya que el abordaje del paciente autista no estaba establecido y encaminado como ahora) es bueno y se pueden tomar buenos consejos respecto al abordaje de un nino que manifiesta alteraciones en su comportamiento y el compromiso moral que demuestra la terapista Axline, asi como también la importancia del manejo de los padres para lograr un éxito terapeútico en un paciente como DIBS y por supuesto nunca rendirse para que un niño, independientemente del diagnóstico que tenga pueda salir adelante. Aún falta mucha información y educación de nuestra sociedad, que sin duda sigue formando prejuicios contra un niño que muestra habilidades diferentes. Definitivamente personas como Axline que tienen fé en sus pacientes y se comprometen a trabajar pueden ejercer un enorme impacto positivo en la vida de niños como Dibs. Aquellos que trabajamos con niños, apliquemos un poco más de Axline a nuestra profesión! After receiving the Nobel prize along with James Watson and Maurice Wilkins in 1962 for the elegant description of the structure of our helical molecule, Francis Crick dedicated his life towards the studying of the mind. Although I knew this true genius dedicated his life on this, I haven't got the opportunity to read about his work on consciousness before, so I was really excited when I found this book the other day. Consciousness is a fascinating memoir, written by Christof Koch, about his research work along with Francis Crick on their quest on understanding what the mind is....on what is consciousness and makes us "human". Koch, also a physicist like Crick and with a minor in philosophy, will give you a fascinating approach on this topic as well as on free will. Can we truly act freely or are we just the result of the predispositions and circumstances of our environment or the culture we were raised by? What does physics have to say about this? Can the computational theory of mind help us to understand our "qualia"? Do animals have consciousness? Does the cortico-thalamic system has the answer? You will find a little of this along your reading. Many of us, rely on science and philosophy in order to look for answers of the many questions our curiosity can give us, and this is what this memoir is about. So I really enjoy when I find a scientist that tries to give answers from many different approaches. In this case, our consciousness from a physics, philosophical and neurobiological perspective for only one true answer. I found Koch as an honest writer, who besides talking about his research talks openly about his loss in religious belief due to a maturity in seeing the world as it is along with being incompatible with scientific explanations. A naturalist scientific in whom I also noticed a touch of existentialism and a great sense of wonder. I like and agree with Koch expressing: "There is no reason why we should not ultimately understand how the phenomenal mind fits into the physical world". Well, even if we find a reductionist molecular answer to this great riddle of the mind, will humans ever settle with this explanations or will we always be in the need something more? I also perceived the same Crick that I've read many times and that James Watson also describes, open to new and radical explanations but always consistent with established and verifiable facts. It was funny to see that he referred to automatisms as zombie agents! It was a true delight for me to read about the research of this pair of geniuses and their friendship all the way to Crick's death. 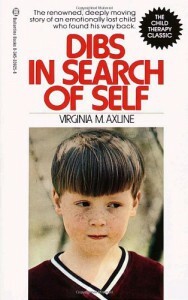 A short memoir, that I really liked! First of all, on the Late Hadean period you will be introduced on abiogenesis, is it possible that organic molecules can arise from inorganic molecules? Darwin knew, when he wrote On the Origin of Species, that he wasn't ready to answer this even though he did hypothesize about the primordial soup necessary for the arise of these complex molecules. In the chapter of the Paleocene epoch, they introduce you to the evolution of the mammalian immune system, which is when it took place. This is the epoch that followed dinosaurs extinction around 65-55 myas. Now, with this approach on the immunology system they make an example of how the use of synthetic genomics could be applied on this era. For example, through inserting the lux gene from Vibrio fischeri into a newly engineered invasive organism inv+ E. coli gave the researchers a genetically resided bacterium that could distinguish among cells with different densities and selectively invade on higher density cells such as tumor or cancer cells. So eventually, genetically modified bacteria could be used for cancer treatments. I wonder what people terrified with GMO food products will think about the possibility of inserting a bacteria to treat cancer??? My advise: Don't tell them to avoid panic! Another example of these modified bacteria is the possibility to alter E. coli to synthesize PYY (3-36), which is a peptide produced in mammalian colon cells responsible for satiety regulation. I find this fascinating, as obesity is one of the major health problems we are facing today. Later on, making a stop on the Pleistocene period: the age of massive glaciation and global cooling you will read on Nuclear transfer cloning. What do you think on the possibility to bring back a Neanderthal or a mammoth??? One of the arguments mentioned is that this cloning can introduce new genes back into the pool of species for diversity. Remember that diversity is extremely important on the evolution of our species. Well, wouldn't this be against Natural selection or anti Darwinian??? If their genes were already eliminated by our gene pool why bring them back? What new abilities could this possibly offer to our species. It does sound pretty interesting though, it could definitely give us a better understanding of our and their past. On the Neolithic period: Stone Age and the beginning of agriculture and the greatest transformation towards our civilization. 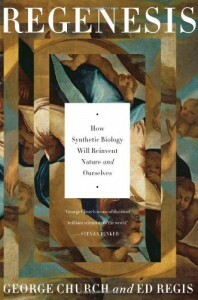 In which he makes an analogy of artificial selection through the domestication of plants and animals with synthetic biology. First "domesticating" E. coli to produce insulin, EPO or monoclonal antibodies among other uses through gene modification. Later for production of biofuels, new drugs and GMOs and now on the phase creating synthetic genomic enterprises. Well, I don't want to ruin or spoil your reading because there are many great topics I could endlessly keep on debating on this book and on every chapter you will definitely find something worth discussing or stop and give it a thought. Personally I love genetics and I like to imagine all the fascinating possibilities that synthetic genomics could give rise in our health and our environment. Will the rise of genetic engineering lead us to the development of a better species, perhaps a Homo sapiens 2.0???? and, are we really ready to face the challenges that genetic engineering can give us? I think we are. Of course, science will have to continue facing many challenges regarding ethics, humanism, religion, political and economical, but at the end science is about understanding our past and looking for our best options towards our future and our survival. My recommendation: Read this book. It is well written and in a simple way anyone can understand and enjoy from the RNA era to an epigenetics epilogue, to give you an idea how genetics has and will continue to influence our lives. 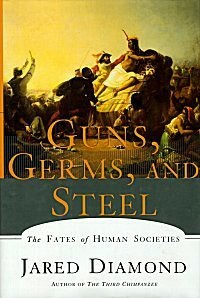 GUNS, GERMS AND STEEL is a book that was highly criticized for being environmentally deterministic as it is mainly about the impact that the environment had on factors such as food productions, fighting skills, technology, political organizations and language/writing skills for the development of human societies. Some evolving faster than others. One of the main questions the author attempts to explain is why Eurasian civilizations developed a more complex or organized society faster that civilizations in America or Africa and ended up conquering them instead of being the other way around. For example, why Pizarro conquered the Incas and Cortes the Aztec empire instead of them conquering the Spanish civilizations? What gave them such a head start before them? The main argument defended throughout the book by the author is mainly that thanks to the horizontal east-west geographical axis of Eurasia is what favored such environmental conditions for developing the complexity of these societies in a shorter period of time than on those living in the vertical axis such as America or Africa. He gives far more importance to this geographical distribution rather than the intellectual or the inherited differences of human evolutionary biology or genetics. He argues that this North-South vertical axis in America has wider variety in latitude giving therefore big changes such as a variety in climate or areas such as the deserts or rainforest making it difficult for plants or animals to flourish, to domesticate and the diffusion on these new techniques and technology faster to closer societies. According to Diamond, the first condition favored by this geographical distribution was food production. Through livestock and animal domestication, this allowed sedentary people such as farmers or herders to settle and achieve higher population densities than hunter gatherers which eventually were being replaced or had to end up adopting these new food production skills. The societies that adopted these new skills gave them a head start towards guns, germs and steel which basically means better weapons and that eventually helped them conquer other civilizations around the world. He also uses Tolstoy's quote "Happy families are all alike; every unhappy family is unhappy in its own way" to make the Anna Karenina principle which he applies to animal domestication. By this principle he says that human and most animal species make an unhappy marriage, it is through factors such as animal's diet, growth rate or mating habits among other characteristics that some wild animals were better for domestication than others giving again Eurasia also the best candidates for this domestication. Was this the romantic side of Diamond?? By the way....Kuru is caused by a virus?!! I don't think so. Kuru, which is caused by cannibalism, as well as Creutzfeldt-Jacob, Fatal Familial Insomnia and the Mad Cow disease among others are caused by PRIONS not by a virus. They do transmit like a virus, but they are NOT viruses they are Prions! I do not know if he did it in order to avoid the complexity of the subject on Prions and just to give an idea to the reader. 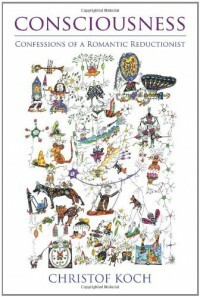 But on a book that is approaching the evolution of microorganisms and/or diseases and the impact is can have on an entire population such as smallpox had on the Native Americans during the Spanish conquest then this will be the right time to introduce prions and their impact of the practice of cannibalism. Stanley Prusiner received a Nobel for his research work on Prions if any reader is interested on this. 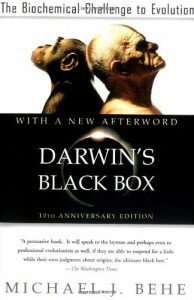 Now, Diamond tries to use Darwin in his favor stating that his first chapter On the Origin of Species he explains how domesticated plants and animals arose through Artificial selection by humans but what about the process of Natural selection in humans in all this history? We have evolved thanks that we are a very competitive species after all. Are we really only the result of all these environmental conditions that directed the fate of our societies? However, I think he does apply the process of natural selection regarding our immunity to certain microorganisms. Personally I think, that yes environmental factors do play an important role in the development of a society but it is also thanks to the inherited traits of our evolution that give humans the ability to adapt to these conditions and use them intelligently according to our needs and our understanding. It has to be multifactorial not only geographical. Now, with the rise of Epigenetics it would be interesting to know how does the environment really have influenced and directed our gene expression and the new adaptations and/or mutations we have developed and are still developing. Anyways, this is a great book on the "GUNS AND STEEL" part of world history and you can learn many interesting facts since the rise of our civilization. But it is fair regarding its approach on the"GERMS" part. He does mention how many epidemics have played a major role on the fate of many human societies throughout history (Influenza, Smallpox or HIV) and how this diseases are still influencing us through mutations in our genetic code and play an important part of our evolution. However, as a professor in geography, I think he focuses deeply on his geographical axis argument that make us who we are today. Well, if you follow the author's thoughts, after all it was Eurasia who took the lead and conquered and influenced many other parts of the world and our history and making him writing this book. Cambio de Piel, sin duda una novela compleja. Básicamente, la historia inicia cuando sus cuatro personajes: Javier, Elizabeth o "dragona", Franz e Isabel o "Novillera" se introducen en un viaje de la ciudad de México con rumbo hacia Veracruz. 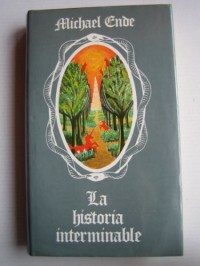 En lo personal, la introducción del libro me pareció espectacular, la mezcla de la historia principal de la novela yuxtapuesta con la historia de México durante la conquista de los españoles, para dar vida a cada rincón de Cholula, donde se ven obligados a pasar la noche, sin duda envuelve al lector. Durante su estancia en la ciudad de las pirámides aztecas (Nota: todo el libro! ), se va desenvolviendo la personalidad de cada uno de sus personajes a través de sus propios recuerdos, en lo cuál debes estar alerta ya que el autor hace un juego cronológico muy interesante y lo que le da la característica a esta narración. Un juego cronológico?? mas bien un desorden cronológico! Conforme vas conociendo a estos cuatros personajes, Carlos Fuentes hace una mezcla de los sentimientos de cada uno de ellos con la historia del México prehispánico y todo los mitos que los rodean; también de Europa, haciendo un recuento de el holocausto por medio de Franz. Todos esconden un pasado difícil y cada uno espera encontrar en su trayectoria un cambio de piel, en el cual puedan sentirse renovados. La novela es una combinación de historia, datos culturales y misticismo. Sin duda, no es una novela fácil y se puede volver muy tediosa, pero sin duda es un reto. Además el vocabulario es muy enriquecedor y es un deleíte ver el uso de tantas expresiones en diferentes idiomas. En el libro se puede apreciar porqué Carlos Fuentes es un gran intelectual. Cambio de Piel parece ser un juego muy elaborado hacia la mente del lector. Personalmente, abandoné el libro un tiempo y apenas lo retomé para poder finalizarlo, ya que lo que no me gustaba del libro es que no me sentía atraída o enamorada por ninguno de sus personajes y eso lo volvió aún más pesado para continuar. Tal vez, el personaje que más llamó mi atención fué Javier, quien abandona su carrera intelectual por sus sentimientos hacia Elizabeth y después intenta recuperar o recrear ese amor y esa pasión en la Novillera Isabel. Hacia el final, el libro cambia de tono y y se vuelve un poco mas digerible, en donde Javier, Elizabeth, Isabel y Franz se introducen en el laberinto de las pirámides y se lleva a cabo un final trágico lleno de misticismo. Es un gran libro, que a mi me dio gran trabajo poder apreciar y espero en unos años volver a leerlo y rescatar esos detalles o la riqueza del libro que tal véz no haya percibido en esta ocasión. En resumen, me gustó el libro en cuanto a la narrativa de Fuentes, pero la novela per se se me hizo eterna!!! 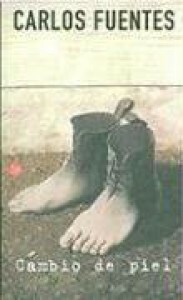 Se lo recomiendo a cualquier persona que le gusten los retos en literatura, que sea paciente y quiera ampliar su vocabulario, o aquellos que gusten darse un complejo paseo por la mente de este gran novelista Mexicano. A fascinating book which integrates art and science and how they can enrich each other and lead us to a better understanding of the complexity of the human mind. 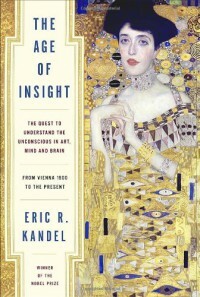 Neurology and Psychology through expressionist art of Vienna 1900.......a true masterpiece by the Nobel laureate Eric Kandel! I will definitely enjoy this book again!!! A remarkable and elegant narrative by Simon Singh on one of the most important and magnificent scientific achievements of the twentieth century in a very simple and highly entertaining style that anyone can enjoy, either scientific or non-scientific literate. What I really enjoyed from this book was all the historical account from ancient mythology and Greek philosophy all the way to the creation of the Big Bang model, finishing up with the evidence that finally helped establish the explanation of the creation of the universe, as well as reading the pros and cons and the religious implications of such theory. The Big Bang, the model that describes the beginning of the universe originating in a sort of a 5 minute explosion evolved thanks to the work and minds of many amazing scientists that contributed in the success of this model: Einstein's theory of general relativity which led Lemaitre and Friedmann's development of the theory of the Big Bang, Hubble's demonstration of the expanding universe, Hoyle's contribution on nucleosynthesis, Alpher Gamow and Hermann theoretical contributions, and the observations of Ryle, Penzias and Wilson and all the COBE team including George Smoot. All these great minds, among others, are a perfect example of how the combination of scientific curiosity and intellect can lead to such fascinating discoveries through time and hopefully stimulate young minds pursuing a career in science. 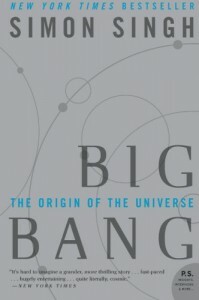 This non-fiction narrative is a must read for everyone, there is a lot of scientific detail missing but has the basic information explained in a very simple way in order to understand the greatness of the Big Bang, therefore making it a great introduction on the subject. I think Simon Singh made an amazing work on this book, making science fun and interesting for everyone, the way it should be!!!! .... "What do I hope for? If not a cure, then a remission. And what do I want back? 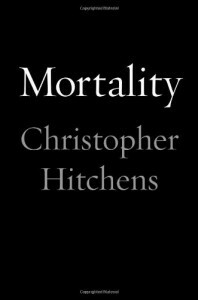 In the most beautiful apposition of two of the simplest words in our language: the freedom of speech" C. Hitchens. This is a perefect example of why religion and science can't get along. As a person who believes in science i felt obligated to review it, but honestly it is just bad applied science, or should I say "pseudoscience".